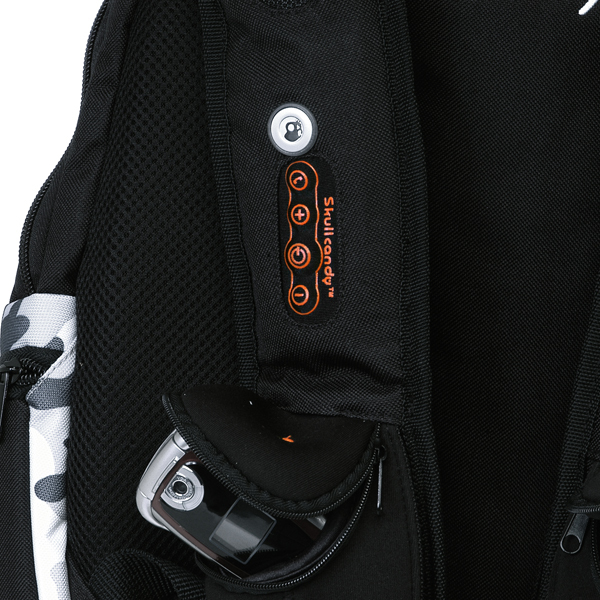 Gizmodo posted about the Skullcandy LINK Backpack, possibly targeted toward people who are allergic to headphones. 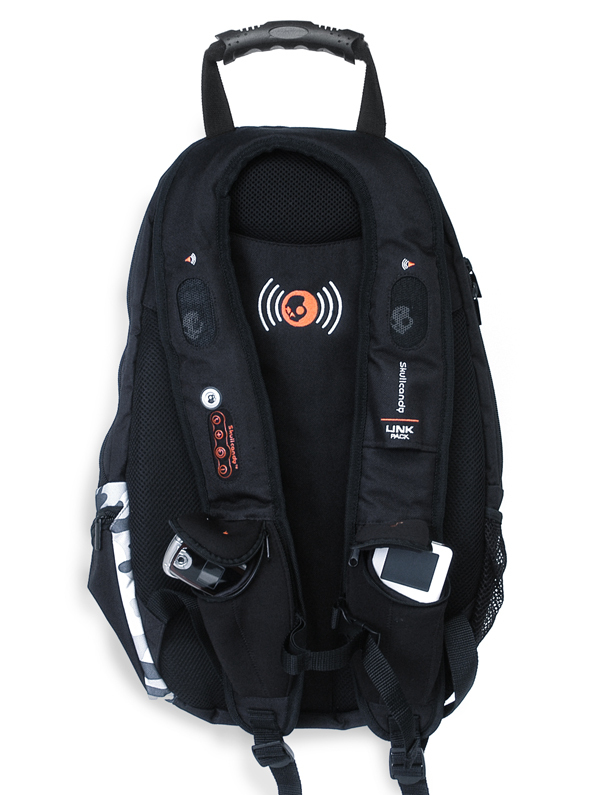 Just plug in your iPod and this backpack and blast your Metallica or a nice quiet audio book right through the 60mm speakers. When you get a call, you can either eliminate the music entirely or simply reduce the music volume with the mid-strap control buttons, which allow you to listen and talk hands-free. Adapters are included for most major mobile phones. This entry was posted on	August 26, 2006 at 11:11 am	and is filed under backpacks, geeky. Looking to buy one of these bags.